Mahanati is the film that is made on the life of the legendary actress Savitri. The makers tried their best to avoid all the controversies and have projected both Savitri and her husband Gemini Ganesan in a positive manner. The makers have left the decision of choosing the person behind Savitri’s miserable life in her final days to the audiences itself. 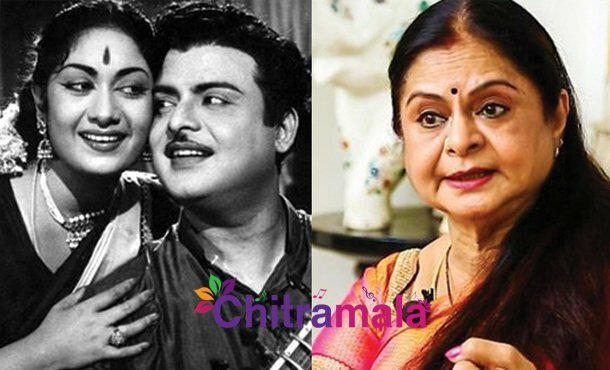 Now, we have come to know that Gemini Ganesan’s daughter Kamala Selvaraj has made some interesting comments on the movie telling that the makers have projected her father in a poor light. “It is disheartening to come to know that the makers have projected my father in a poor light. My father is also one of the star heroes during those days. The makers showed that my father only introduced drinking habits to Savitri which is hurting. When Savitri is busy with the film Praptham, I accompanied my father to her house where her relatives and watchman have not allowed us to go inside. After that I have never been to the house.” said Kamala Selvaraj.